Schnapps distillation and stills for the production of essential oils from Destillatio. In this section we present traditional stills and distillation equipment for schnapps up to 0,5 liter boilers. These are authorized by customs for use by private persons in Germany for distilling schnapps. 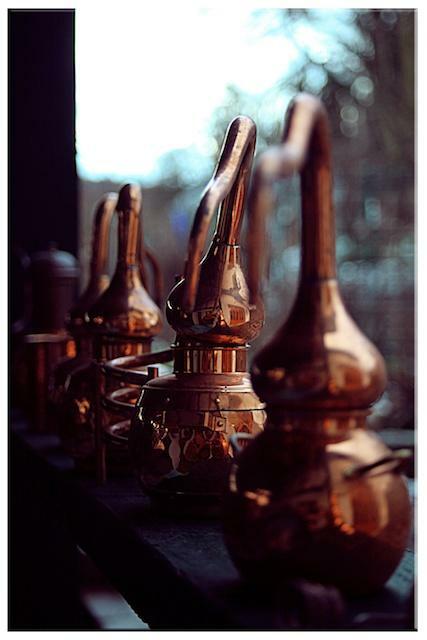 If you want to distil larger amounts legally, then you have to emmigrate to another country or use several 0,5 liter stills at the same time. We would be delighted to send substantially larger schnapps stills abroad - German customs monitors deliveries within Germany. We are not obliged to notify the German authorities about a shipment to a foreign country.